Availability Please contact us for availability.Ground shipping guaranteed 3 days or less for contiguous US! Extend iRobot's 1 year manufacturer warranty to 5 or 10 Year Parts and Labor Warranty Repair Service through BWG Bankers Warranty Group Insured Nationwide Agency. Check box under Recommended Accessories below and save 50% if you want to add peace of mind for 5 or 10 times longer than the manufacturer's warranty. 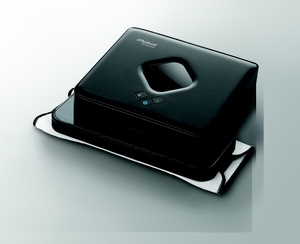 The new iRobot Braava 380t is the next step in floor mopping robots. Designed to systematically cover your entire floor in one pass, cleaning your floors has never been easier. All it takes is a disposable cleaning cloth, placing the Braava 380t on the floor, and pressing either the Mop or Sweep buttons. Just like that! Once the machine has returned to its original position and completed the cycle, simply dispose of the cleaning cloth, or if you've used the included microfiber cloth, wash it for later use. A dry sweeping cycle allows the device to cover up to an 1000 square foot area in a single sweep. Furthermore, the machine can clean up to 350 square feet in a single mop to focus on properly cleaning the area while the attached cloth is still wet. Disposable cleaning cloths make clean-up a breeze. Simply attach, then toss out when the device is finished! The Braava 380t's advanced NorthStar Navigation System operates much like an indoor GPS. By projecting a signal that it uses to calculate and map out its location within the chosen room, it uses the navigational system to build an ongoing map as it cleans. This allows it to understand and avoid obstacles such as walls, drop-offs, furniture legs, and more as it encounters them, letting it clean more efficiently with each repeated use in a room. 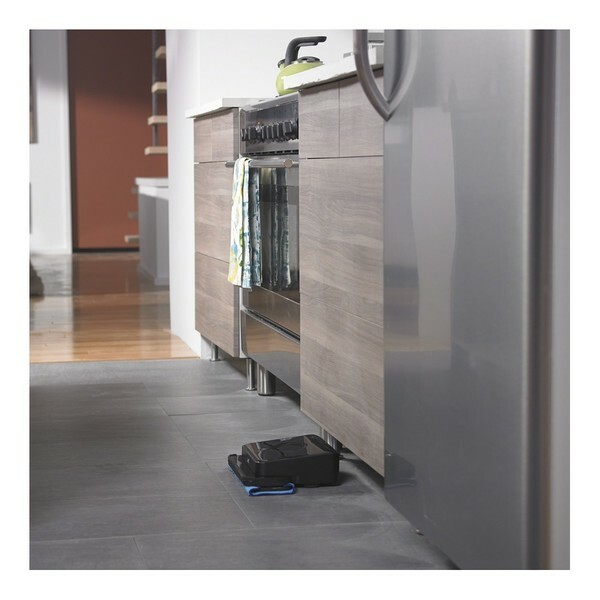 The NorthStar Navigation System keeps track of where the Braava 320 has been and where it needs to go, which allows it to thoroughly clean your entire floor without hassle. The iRobot Braava 380t. Revolutionize your boring chores with the latest in robotics! Upgradable: Purchase additional Northstar Navigation cubes to double the dry-mopping space! 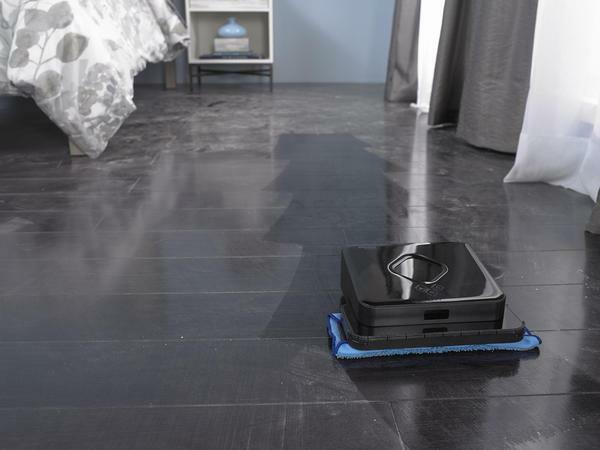 Charge the iRobot Braava 380t in as fast as two hours, providing convenient storage space out of the way, and ready to sweep your floor for up to four hours, or two and a half hours damp mopping on a single charge. Included charger cradle allows for a two-hour charge positioned out of the way of your living area. You'll barely know it's there!